Minerals in untreated, hard water can interfere with dye reaction. 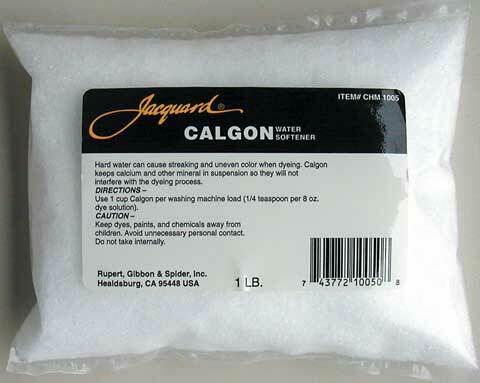 Calgon is a water softener which neutralizes metallic ions in tap water, allowing for a deeper, more level dyeing. It is also used to soften the water in marbling and other textile arts where minerals might interfere with the process.